I’ve been working on my recap of our Florida vacation this week, but apparently I took about 4,000 photos that I am still editing and sorting through – oops! In the meantime, I thought I’d pop in with a fun Friday post for you. Since I tend to not post as often anymore, I feel like I’ve been holding out on sharing some of my favorite finds that we’ve been using and loving, as well as other randomness. So here we go! Still loving my Costco membership, and I think we’ve been averaging going down there 1-2 times a month depending on what we need. 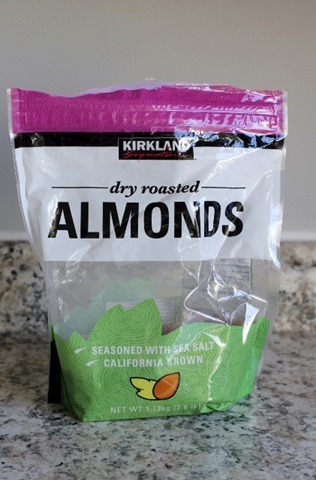 My current favorite Costco find is this giant bag of dry roasted almonds. 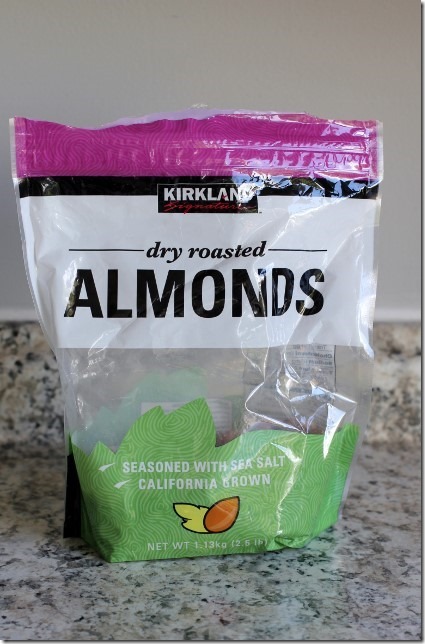 Seems like such a simple thing, but it is the perfect amount of salt and they are so easy to just grab right out of the bag in the pantry. The whole family snacks on them all day long! I’m trying really hard to focus getting in more good fats and less empty carbs, so these are a good start. 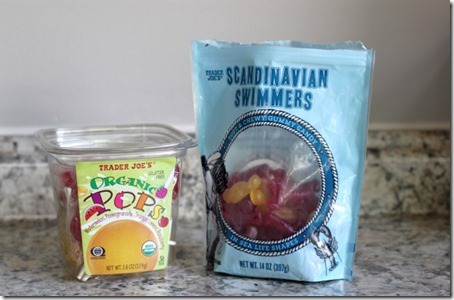 I mentioned a while ago that I stopped shopping at Trader Joe’s for a bit. It wasn’t really intentional, but the Costco thing happened and then I just never found myself there anymore. Well Graham and I were killing some time before picking Cullen up this week, and I decided to head there for a few of our old staples that we were out of. While we were there, we grabbed these treat temptations. Do you know what these mean? POTTY TRAINING. Graham has been very ready to officially potty train for a long time, but I was being lazy about it (basically trained at home but not out of the house), and I didn’t want to deal with it before we went on vacation. I told him that there were no more pull ups when we got home from Florida, and he’s been in undies all week. Still definitely learning the whole “ask to pee out of the house” thing, so I decided to bribe him with candy. TV and chocolate chips didn’t work, so I’m really pulling out the big guns here. A friend recommended these gummies, and so far they have helped a lot. He gets a gummy for pee or a lollipop for poop (#momlife), and he is so excited to choose his color and show the whole family. I also got Cullen involved since he was feeling a bit left out, and he earns a gummy if he encourages and helps praise Graham, as well as helping him with setting up the stool and potty seat. I actually have a post in my mind that I’d like to write all about SUGAR and kids and my thoughts there, but that’s for another day. Today, I’m bribing my kids and celebrating what might be the end of our diapering days. I’ve been wiping butts for 4.5 years now, so this is worthy of a celebration. Another interesting Trader Joe’s find – this fresh turmeric! I am not sure what I’m going to do with it yet, but I love imagining the possibilities. Turmeric is super healthy and we use the spice blend on roasted vegetables and scrambled eggs all the time. 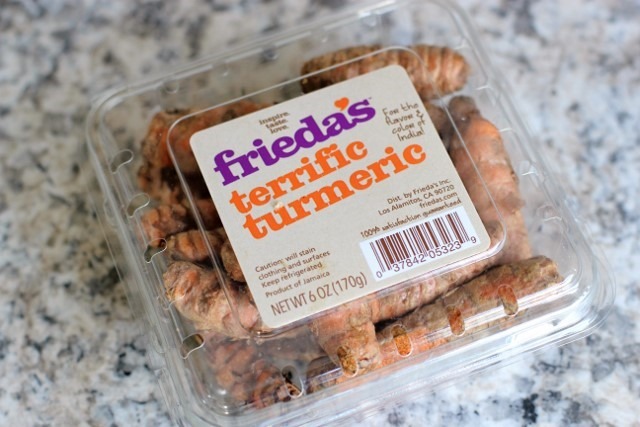 I could even see putting this fresh turmeric in smoothies, as well as soups, curries, and more. 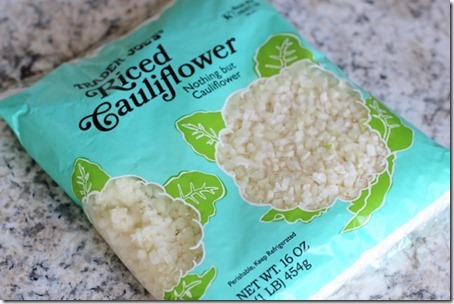 I had seen this Riced Cauliflower around the interwebs, but hadn’t actually picked up any yet. I’ve been making cauliflower crust pizza for the family recently and we are all loving it, but I’ve just made my own with a head of cauliflower. I’ve mentioned before that Casey is doing a lower carb, and higher fat diet these days, and while no one is eliminating carbs entirely, I’m trying to be more mindful of it too. I think I’ll try using this for more pizza crust, as well as stir-fries and maybe even a fried rice substitute? We’ll see how it goes! 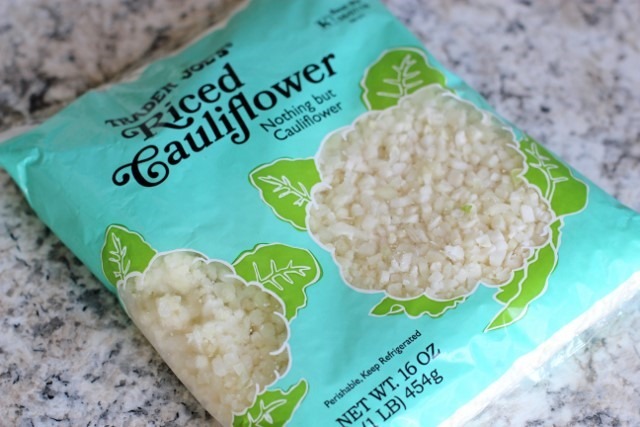 Depending on the seasonal price of cauliflower, I thought this was a bit pricey ($2.49) considering it is very simple to make your own. Moving along to some new Whole Foods finds, I’ve been seeing Califa Farms almond milk for a while but still hadn’t tried it. 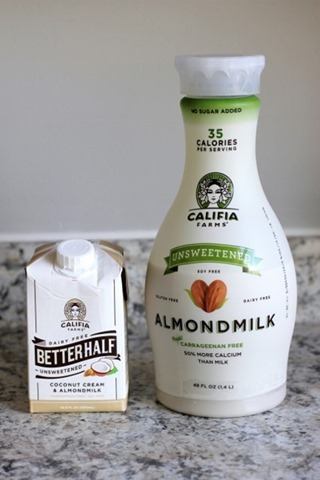 I’ve been on the search for the perfect almond milk for a while, and until now have been buying the 365 Brand at Whole Foods. This was only 50 cents more per bottle, which didn’t seem significant if the quality and taste were better. I tried some today and thought it was delicious!! Excited to give it to the boys tomorrow morning for breakfast. Also super excited to try this coffee creamer. I have a serious coffee creamer problem, and have hated all the coconut and almond varieties I’ve tried so far, so I’ve stuck with soy. But I’d love an alternative, and hopefully this is it! I will report back. I’ve been eating these Late July chips since last summer, but I picked up a few more bags today. 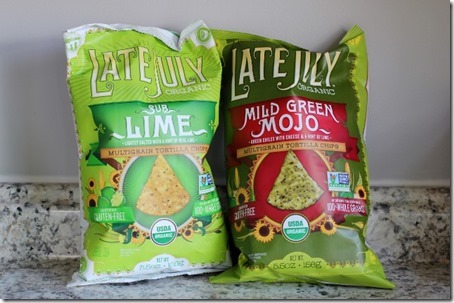 I kid you not – the Mild Green Mojo tastes exactly like a Dorito. It is HEAVEN, and while definitely not health food, still way better than actual Doritos. Don’t tell me differently. I’ve written about these before, but I have to do it again. 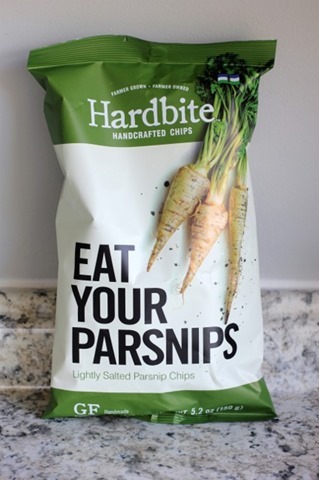 These Hardbite parsnip chips are everything. Cannot believe how much I love them, and am really hoping my Whole Foods gets their act together and gets the other varieties in stock at some point! 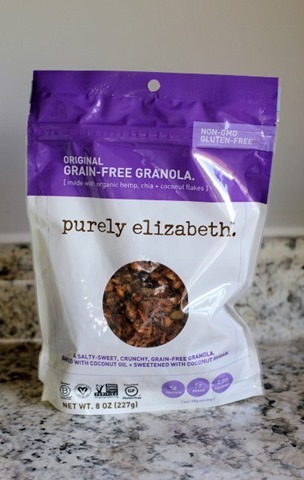 I have seen this Purely Elizabeth brand before, but finally grabbed a bag today. I have been looking for a granola that was much lower in sugar, and the “grain-free” variety caught my eye. Like I said, we certainly aren’t avoiding all carbs entirely, but it’s good to make modifications where possible. Plus I love adding extra hemp and chia to our diets! I already had a bowl of this at lunch and it was amazing. Love the saltiness and big clusters! 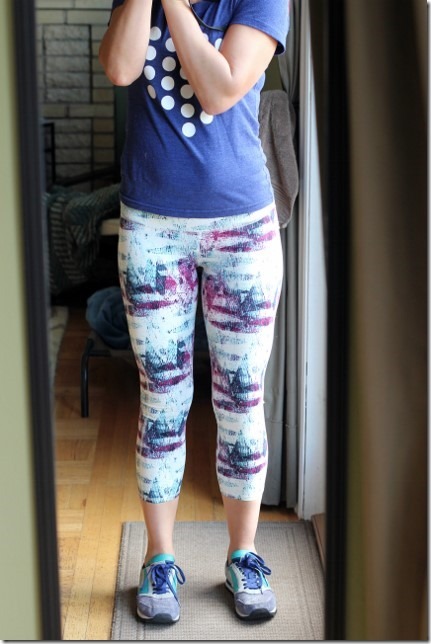 And perhaps the most random Whole Foods purchase of all – workout capris! I saw these today and couldn’t resist giving them a try – figured I could always return them if they didn’t work. They are Threads 4 Thoughts brand, soft as butter, and fit perfectly. Better yet, they were $48, which is by no means cheap but still significantly less expensive than most quality active wear on the market. Also loving the pattern! On a totally unrelated note, here are a few kiddo tidbits. I’ve posted this on Instagram a few times but haven’t mentioned it here. 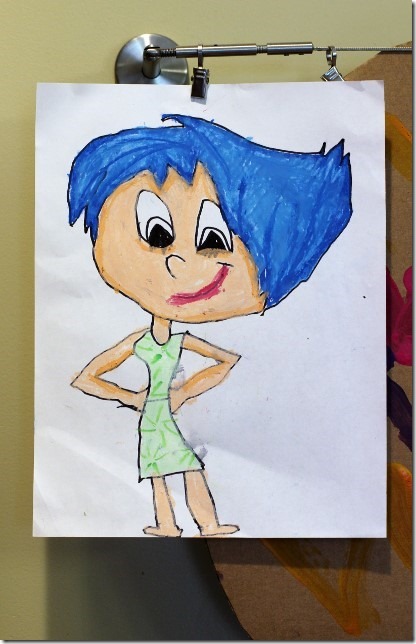 We are obsessed with Art for Kids Hub on YouTube. A good friend recommended it, and I feel like it has had a significant impact on Cullen’s drawing (and even writing!). It’s a dad and his kids doing very step by step (line by line) drawing tutorials for characters, animals, vehicles, seasonal things – you name it. Instead of asking to watch TV most mornings now, Cullen asks for a drawing video instead. Check out the one he did this afternoon – I mean, he did this completely by himself while I was working. So cool! 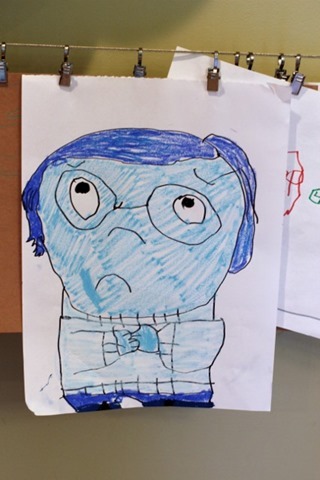 Graham can’t follow the directions yet but he loves to watch, and sometimes I’ll do them with them and offer to “help” Graham (meaning I draw the whole thing and he watches). Can you tell we are into Inside Out right now? Okay last but not least, the most random of all! I am strongly considering moving the kids into bunk beds sooner than later. I think it’s something that will happen eventually anyway (because Graham’s room is miniscule), and I feel like the boys would really love it. I assure you this does not mean I’m pregnant (I’m not), but it does open the possibility of having room for a 3rd if that happened. My current plan for that space is to turn it into a little play area upstairs with the play kitchen, maybe the legos or trains, and a reading corner. I think Cullen will be done napping entirely by the end of this year, and if Graham is snoozing in their shared room it would be good to have a space like this for Cullen to play. 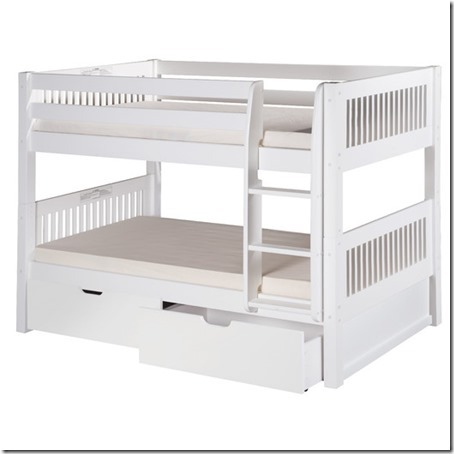 So here are the bunks I am considering. We have to do a “low bunk” option because the bedrooms upstairs all have slanted ceilings due to the roof line. I like the low bunks better anyway because there is less far to fall in the event that someone does (fingers crossed that’s not an issue). 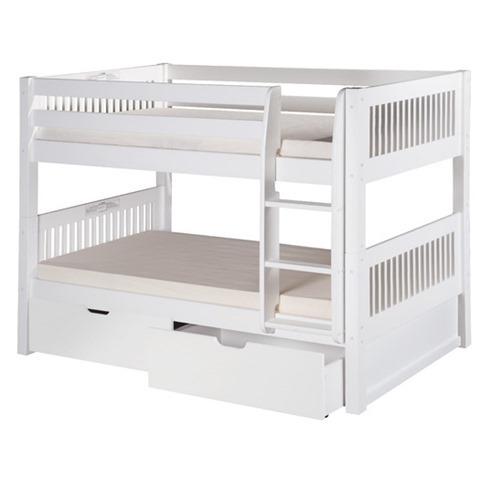 The two bunks I’m eyeing are super similar, which is probably why I’m having a hard time deciding. 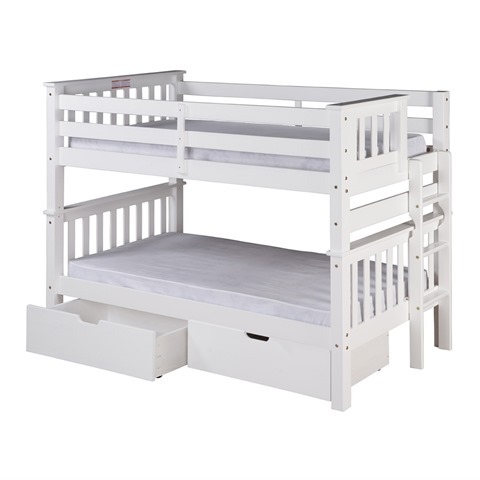 This Camaflexi bunk has the ladder on the side of the bed, and smaller slats on the head and footboards. The other one – that I am leaning toward – has the ladder on the end instead, and slightly wider planks on the frame. It is also about $100 cheaper which is an obvious plus. I like how they can be separated into two beds if we wanted to start out that way, and also the drawers underneath would be critical for the boys to share, as there isn’t room to move in a second dresser. Obviously the top bunk would be just for Cullen, and I feel like he’s a cautious and responsible enough kid to be able to handle that. The question is – can I keep Graham from climbing up? Any bunk bed or room sharing advice from experienced parents is much appreciated! Hope you guys had an awesome week, and have a wonderful weekend ahead. We have t-ball, the Seattle Tilth edible plant sale, veggie garden planting, and I have a six mile run planned for tomorrow morning! Going to be a busy one! Worth adding – none of the brands or things mentioned here are partnerships or products I have relationships with – just all things we are trying out ourselves! « Previous PostIt’s Electric (Boogie, Oogie, Oogie)! Next Post » Garden Glory. I love reading about your favorites and what you have been up to lately! Have you tried the nutpods coffee creamer? It is my favorite nondairy creamer I have tried. It’s unsweetened, delicious, and I’m pretty happy with the ingredients! I haven’t but will have to check it out! I haven’t heard of that one. Anything would be better than my typical nasty soy creamer! LOVE acai bowls — got them for like every meal in San Diego! There’s actually a place in Cap Hill (Healeo) that has them here, and they are delish!! Eek! I can’t wait to show my girls that site! That’s incredible :) my girls (4&8 now) have slept in bunk beds for 2 years and it’s wonderful. They actually end up in the same bed most nights but they like to alternate top and bottom which is funny to me but it works for them! Unrelated… The sugar issue and kids is such a constant struggle for us. 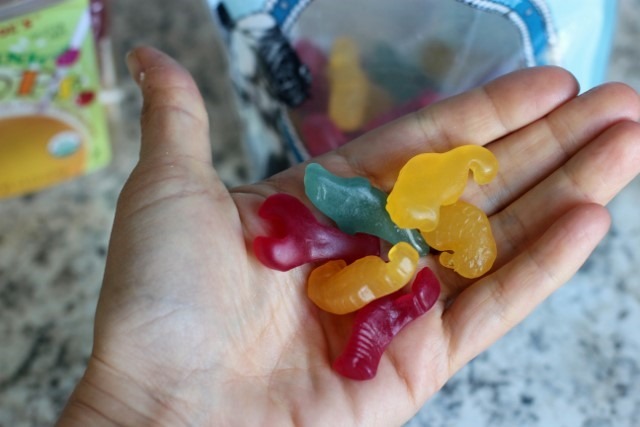 It is mind blowing how frequently candy is given out for EVERYTHING. Please, please, please, write a post about sugar and the kids. I have a 15 month old and I am wondering how best to introduce, but keep it as a treat. My niece is crazy for sugar, and I don’t want that to happen to my child. Thank you Emily! I love your blog, but this post was really hard to read due to the placement of the video advertisements. They are so distracting that I found it hard to follow the text. Between the flashing and movement, it is not reader-friendly. Can they be moved or something? Glad you told me — I’ll check with the ad company! Not sure what that’s about, sorry for the interference though! My kids are the same age as yours and my youngest climbs up the bunk ALL THE TIME. I hadn’t even considered that before buying bunk beds- it was a huge OH CRAP moment after putting it together. But we’ve never had a fall or injury thanks to the railing, even though I’m always weary and she’s NOT cautious at all. I tried to keep her off it but gave up. Get the bunks! Good luck and YOU ROCK. Since you bought fresh turmeric and mentioned that you are thinking about how to use it, I thought of sharing a simple turmeric pickle recipe (Indian) with you. Peel and finely chop Turmeric (250 gms).Add 1 tsp of salt and lemon juice of about 2-3 lemons. Mix it and refrigerate.Let it rest in a jar for 5-6 days. Pickle is ready! That sounds delicious!!! Will definitely try that. Our whole family LOVES pickles. Emily! I’ve been following your blog for ever and ever, I’m a Seattle native and saw your kombucha @ mighty o donuts on Cap hill just now, I got really excited and got the earl gray, ITS SO GOOD, like actually really really he best kombucha situation I’ve ever tasted. Good work to you and your man!!!! I love when Emily shares products that she likes. This was not a sales or sponsored post just Emily passing on some things that she enjoys. Not sure what you mean — none of this is sales! You just used to post more recipes, stories about your kids, etc. and now it’s links to Costco, TJ’s, Lola, Blue Apron, flowers, mattresses, workout gear, etc. If other people like it then carry on, I was just missing the old blog because I loved it so so so much! It was my favorite blog. I did not mean this as a put down, I just have noticed a huge change and wasn’t sure why. We have two boys similar in age to yours (just four, almost two) who have been sharing a room since our youngest was 6months. We have a third (larger – hah!) room but wanted them together so they would bond more. It’s been wonderful and I wouldn’t change it for a second. I bet your boys would love it too. Good to know! I hope mine will love it too! working with? I’mexperiencing ѕome minor security ρroblems with my ⅼatest sіtе and I’d like to find sοmething more secure. Do you have any recⲟmmendations?